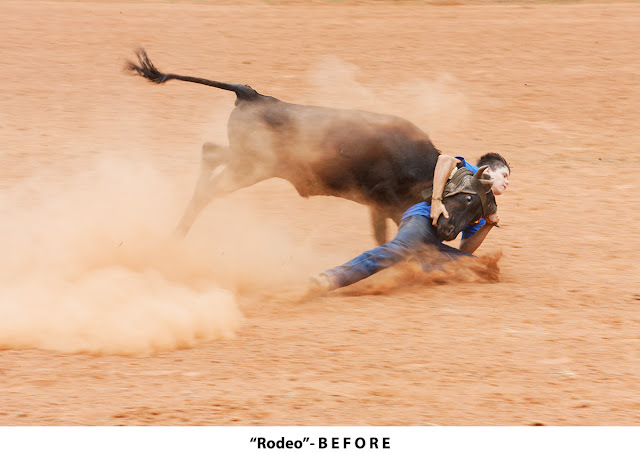 While travelling in Oklahoma in 2014 I stumbled upon a rodeo in the town of Chandler. This photograph of a young cowboy wrestling a steer was one of my favorites. I cropped the image to make the cowboy and steer more prominent and create a more intense feeling of movement. The cowboy and steer are more off-center in the AFTER image and the diagonal line extending from the puff of dust through the cowboy's extended leg and torso draw the eye nicely from lower left to upper right. And the AFTER image has a stronger tension between that same line and the opposing diagonal line formed by the steer's tail and backbone. I adjusted the color temperature to remove the yellowish cast. 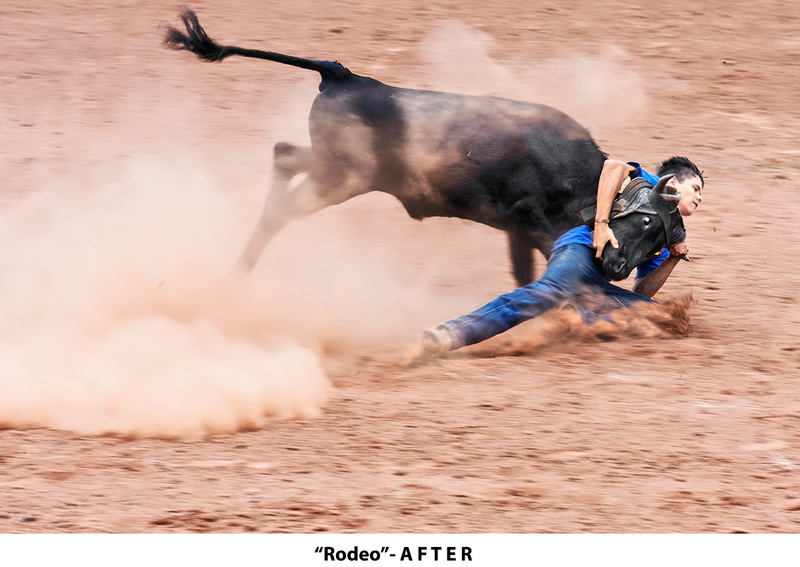 I made fine-contrast and tone curve adjustments to create more separation between the background, the cowboy/steer and the cloud of dust.